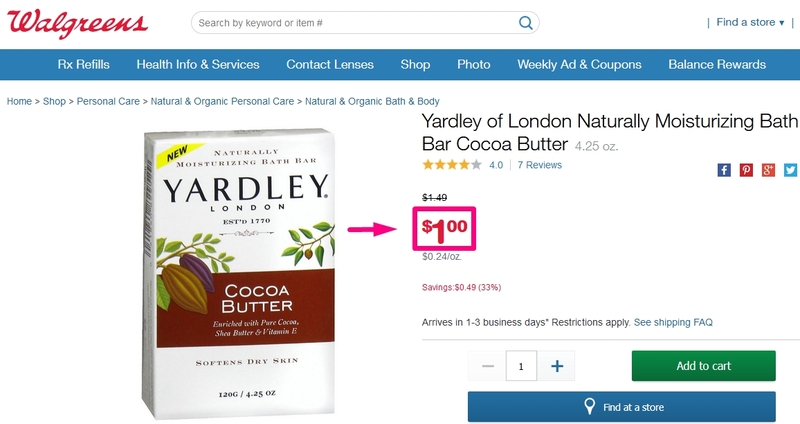 Kylie N. Fox This is great offer and is working in the store, $1 Yardley London Naturally Moisturizing Bath Bar Cocoa Butter (vs. $3.75) at Walgreens. Click on the title of the offer to go to the web store, and get this great discount. HECTOR GUTIERREZ I am validating that this deal works as described Simply enter the code at the time of payment to apply the discount and some exclusions will be applied ..